Kumawood actor, Kwaku Manu, has said he and his colleagues in the movie industry would rather go to jail at Nsawam Prison than pay taxes to government. According to him, attempts by the Ghana Revenue Authority (GRA) to take taxes from him and his colleagues are unfair and do not make any sense. He was reacting to reports that have hit the media space by some personnel from the Authority over the payment of tax. Explaining further, he revealed that, the duty by the GRA Officials are not fair because they already pay copyright taxes. 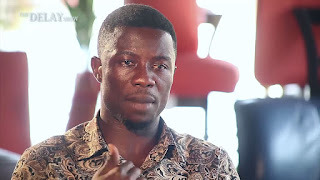 He reportedly asked the officials to tell government to expand the Nsawam Prison because actors and movie producers would be willing to go to jail rather than tax payment. According to him, movie persons do not make much money from the movies and series they currently produces because people are not buying. The actor also lamented the non-existence of theatres for them to show their movies, saying cinemas take 60 percent of their profits whenever they premiere their movies at these venues. He suggested that government should appoint someone from the creative arts industry as Deputy Minister for the sector because such a person would be better placed to address their issues.